For more than 35 years, Andy’s Electric of Orange County, NY, has provided exceptional electrical work to both residential and commercial customers in the Orange County area. This licensed electrician handles both simple and complex electrical issues to ensure that your property’s power is delivered in a safe and efficient way. As a residential electrician, Andy’s Electric can address a range of common issues that homeowners experience. Whether you need help wiring a house, hooking up a new spa, or upgrading your lighting, this electrician will ensure that the process is completed quickly and with minimal disruption to your property. The company has experience in all types of renovation and addition projects, so they can plan efficient wiring layouts and ensure your project is compliant with local codes. 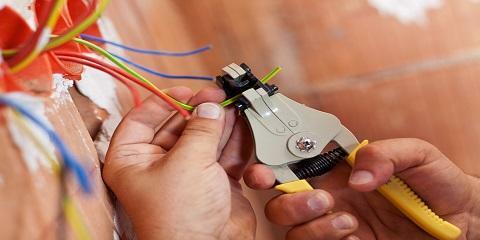 If your business needs to hire an electrician, you can also turn to Andy’s Electric for quality commercial services. For example, this electrician can help with everything from wiring lights to installing generators. If new construction is part of your business growth plan, this Orange County electrical contractor can help you every step of the way. Andy’s Electric is recognized for providing speedy service with precision, allowing you to stay on schedule with your project. And to make sure your budget is kept tight, this lighting contractor offers accurate, detailed quotes. When you a fully licensed and insured electrical team, you can be confident that your property is being treated with care. Whether you need a house rewire or advanced electrical repairs, you can count on the professionals from Andy’s Electric to do the job right. To schedule service or request an estimate, visit their website or call (845) 497-3548.